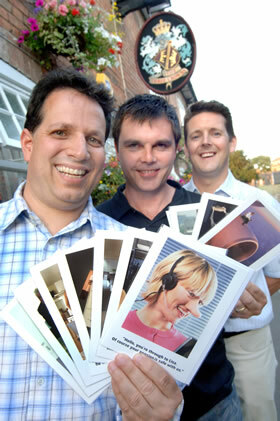 Jobsworth was founded in the summer of 2005 when three men met in a pub. Unlike most good ideas that are hatched in a pub, this one was pursued – and how! Within six months, Jobsworth had produced its first set of ten card designs; a contemporary, humorous take on the modern workplace. It soon became clear that Ivan, Marc and Peter had hit upon a gap in the market – they haven’t looked back since. The 2010 catalogue is our biggest yet – with a newly expanded signature range of greetings cards and gifts (all based on the original workplace concept). “Nun Too Serious”and “Monkey Business”. (The names kind of explain the themes here!). Jobsworth is one of the UK’s fastest growing names in humorous greeting cards and gifts – we really hope you’ll like what you see and give us a try. where all the creative processes take place.